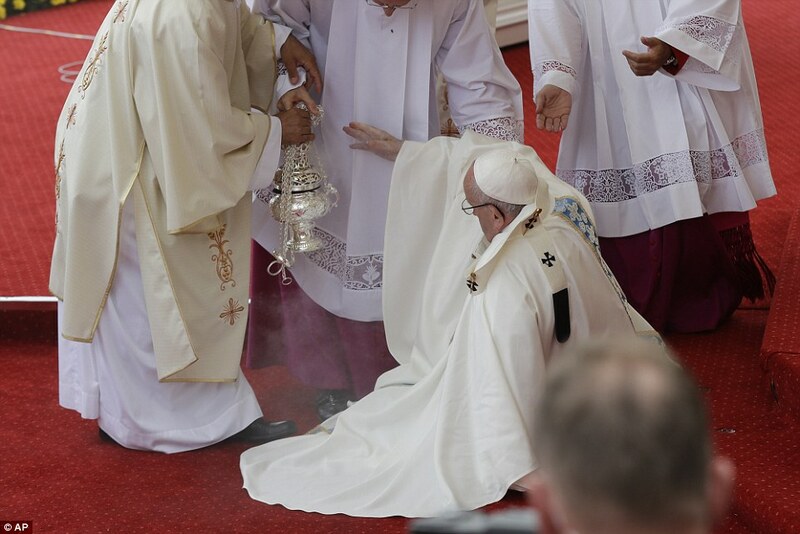 Pope Francis, apparently deep in thought, missed a step and fell to the ground Thursday as he approached an open-air altar at Poland's holiest shrine. 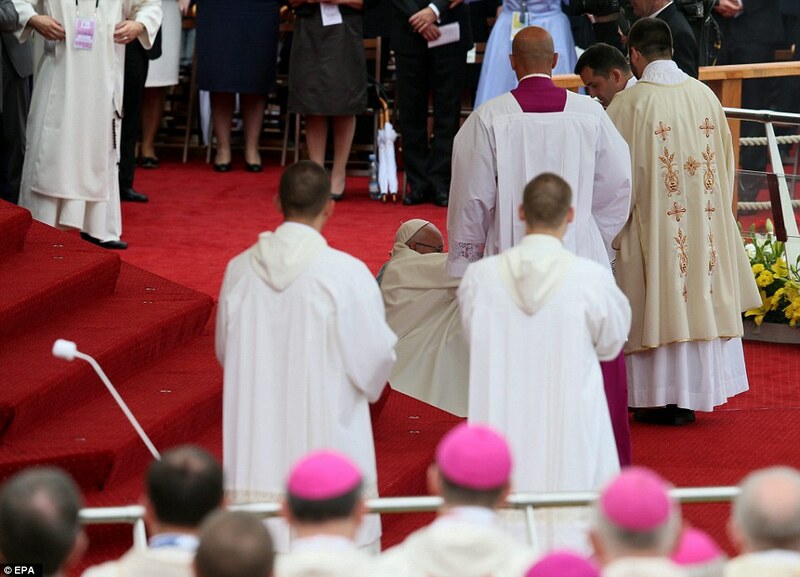 Priests quickly rushed over to help the 79-year-old pontiff to his feet. He then proceeded to celebrate Mass as planned before tens of thousands of faithful. 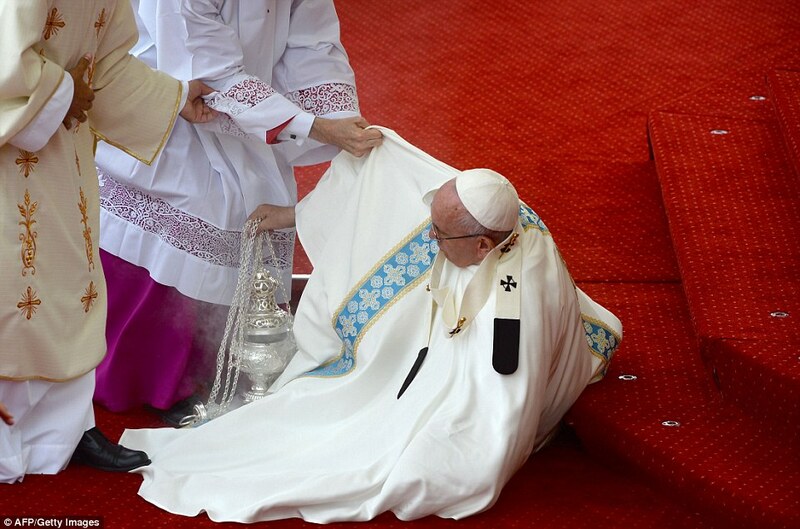 Asked if Francis suffered any ill effects from the fall, Vatican spokesman Greg Burke said “the pope is fine,” the Associated Press reported. The Mass was celebrated at the foot of the Jasna Gora monastery in southern Poland. The shrine to the Virgin Mary holds the revered "Black Madonna of Czestochowa," a 14th century icon that many Poles credit with miracles.